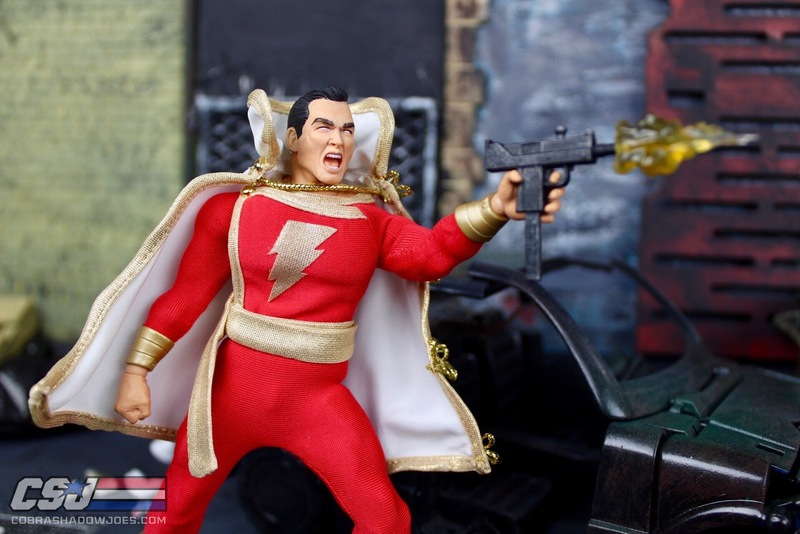 Shazam, also known as Captain Marvel is a character first created in 1939! Shazam actually comes from acronym of 6 Greek "immortal elders"- Solomon, Hercules, Atlas, Zeus, Achilles, and Mercury. Shazam is a boy named Billy Batson who by speaking the word Shazam transforms into a costume adult with superhuman strength, speed, flight, and other capabilities. 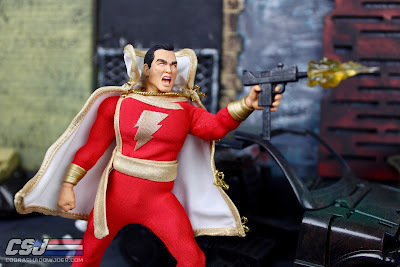 Shazam is truly one of our first comic book super hero's, lets see how Mezco did translating that into a One:12 figure! 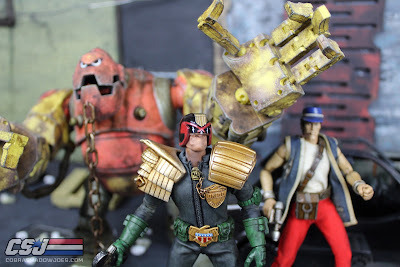 Regular readers of our website know that we are huge fans of the video game appearance style figures by NECA Toys. What started with a one off SDCC exclusive NES-style Jason Voorhees figure has blossomed into a wildly popular line for NECA. One of my favorite VGA figures up to this point was the blue and brown Dog Alien. This Warrior which is based off the 1990 arcade game is right up there with it in my mind. 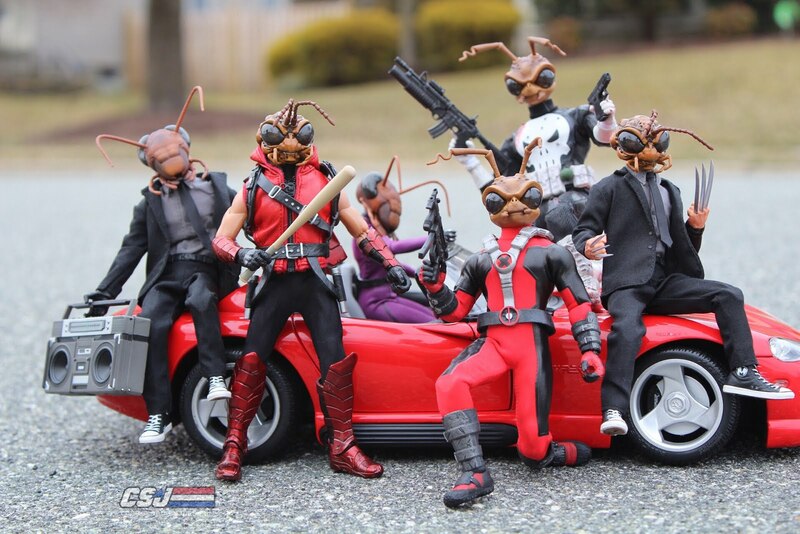 Let's take a closer look at what makes this figure so great. I finally got my heads on the Mezco Green Arrow figure and I am very impressed. Much like Bruce Wayne, Oliver Queen doesn't have any super powers other than his smarts and his tech. I am really drawn towards these types of characters. Green Arrow has always been one of the classic characters in the DC Comics stable but has seen a boom in popularity in recent years due to the WB television series starring Stephen Amell. Mezco put a lot of thought into all of the details in this figure and it shows. 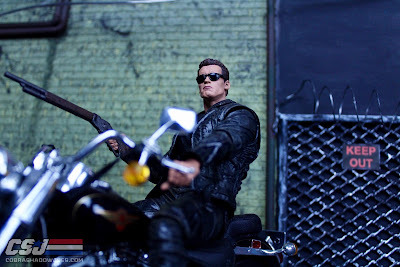 The 25th anniversary of Terminator 2 is upon us and NECA has created the authentic look of Arnold from the first stages of the movie. Arnold has that slow walk, dropping the box of roses with a shotgun rising prepared for his first encounter with the T-1000. At first sight you may not see any variance from the later version, but when he first encounters the biker at the bar his outfit is different. At this point in the movie the only damage the T-800 has taken is a cigar burn, and a poke to the chest and doesn't have much flesh damage. Let's take a closer look at the slick 25th Anniversary T-800.